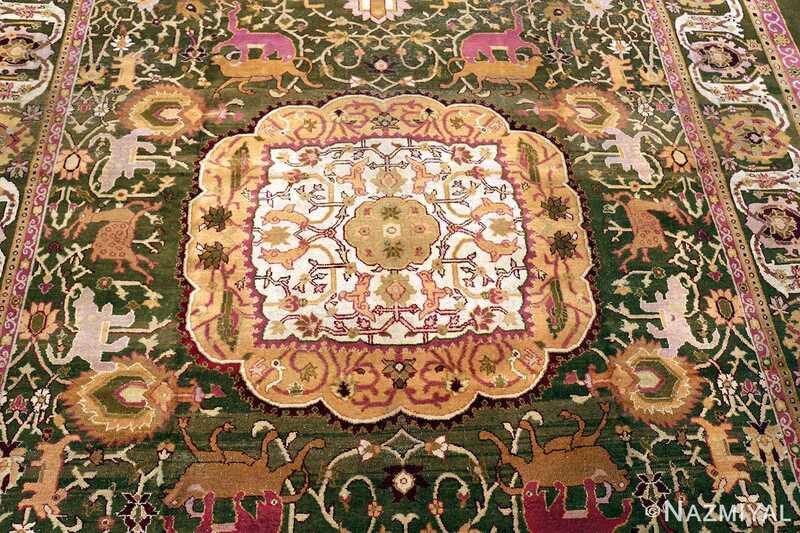 Fascinating and Highly Artistic Green Color Large Size Animal Motif Antique Indian Agra Rug, Country Of Origin / Rug Type: Antique Indian Rugs, Circa Date: 1900 – Regal lions and tigers pursue graceful gazelles and stags on this beautiful olive green antique Indian Agra rug. The green, brown tones, pink, crimson and ivory are reminiscent of the natural colors of the forest and the whimsical animals that enchant it. 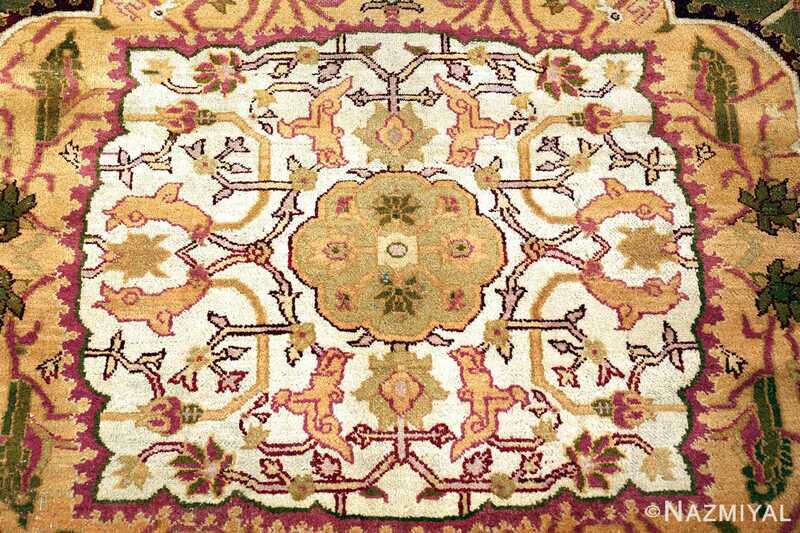 This antique room size rug is big enough to be the focal point of the room and its artistic impact will certainly spark hours of conversation. 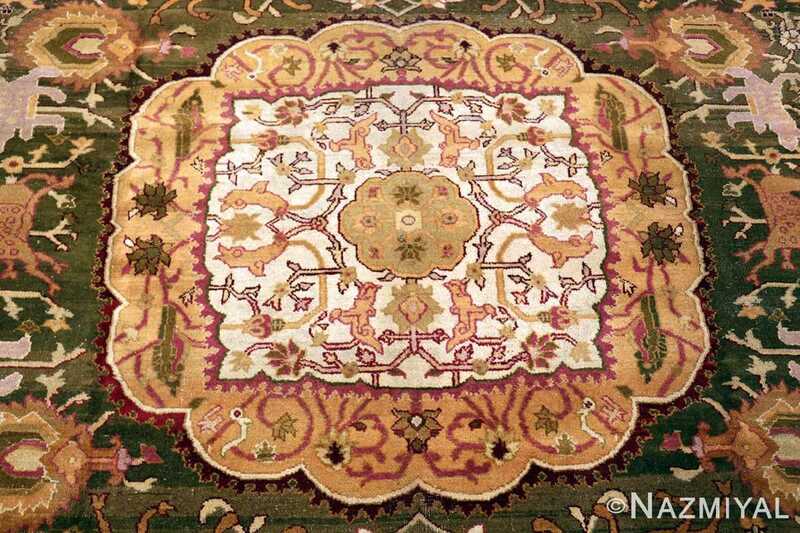 The design of the antique Indian rug is based on a central medallion with a circle surrounded by a square as the central motif. 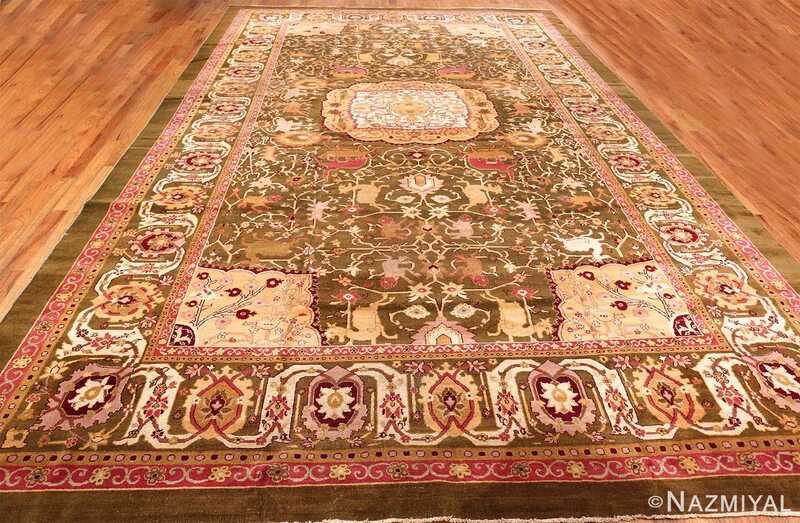 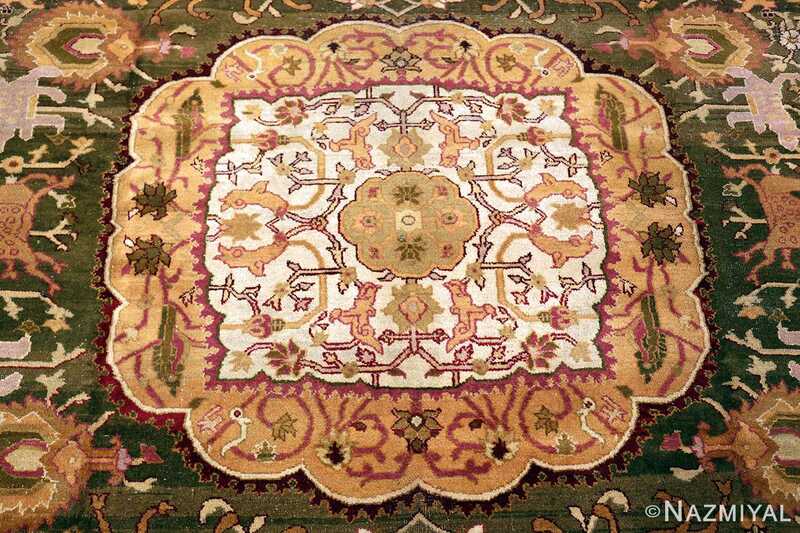 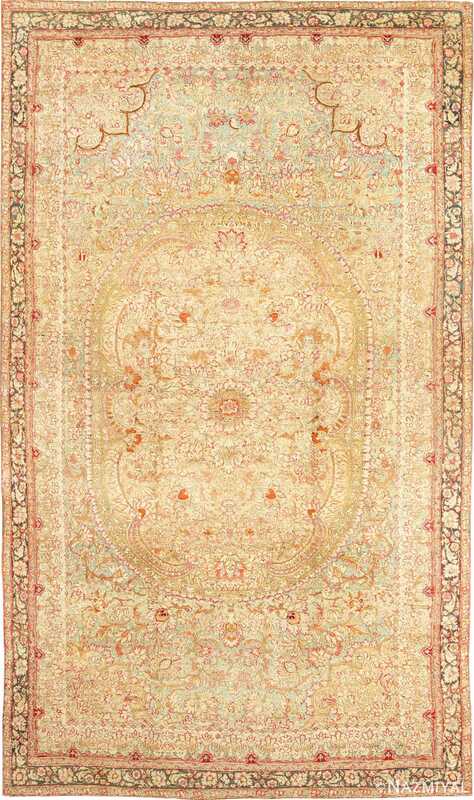 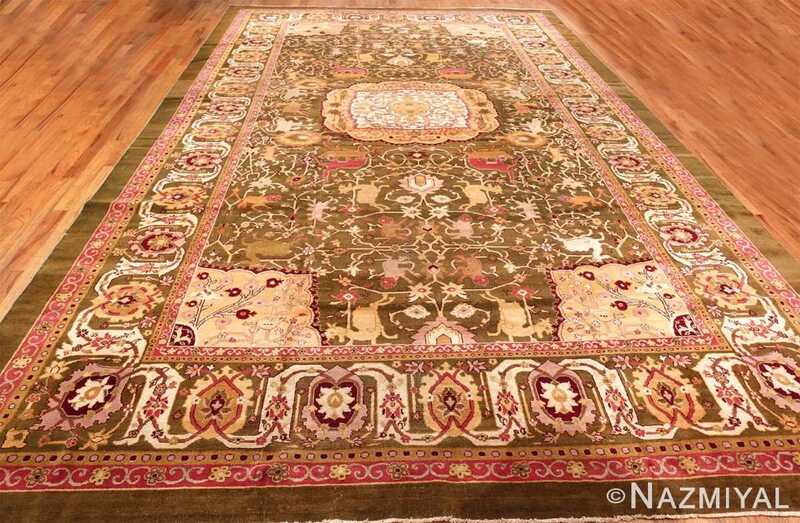 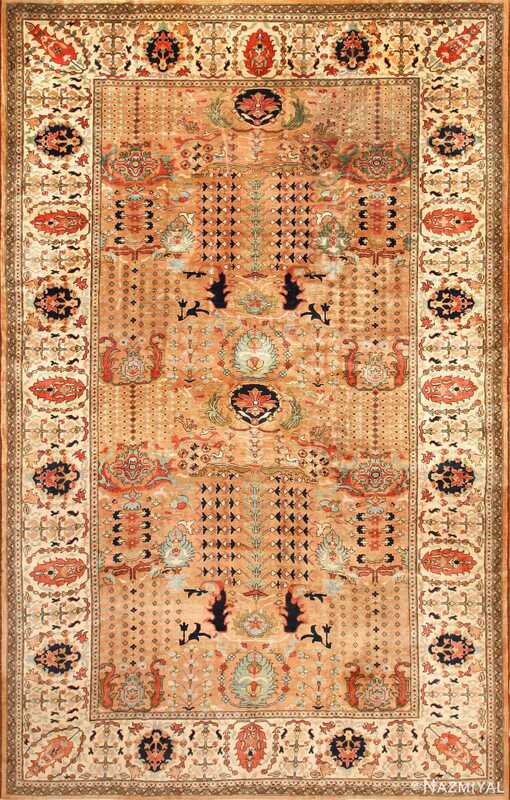 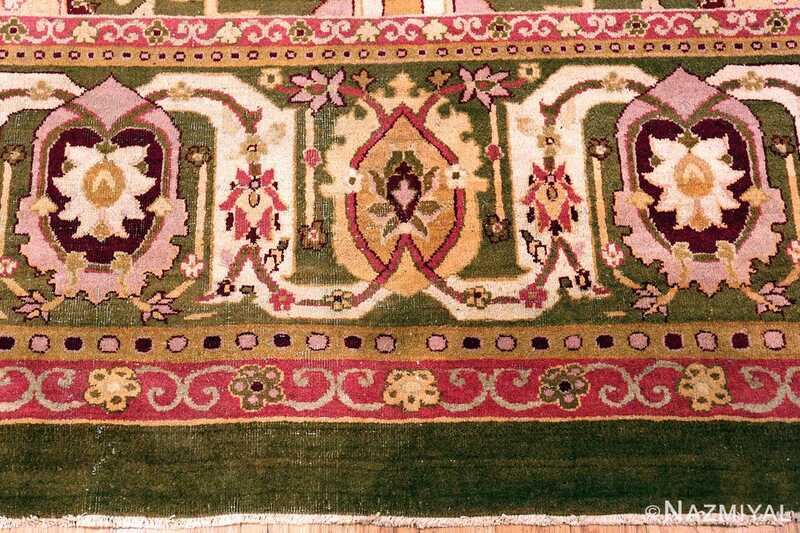 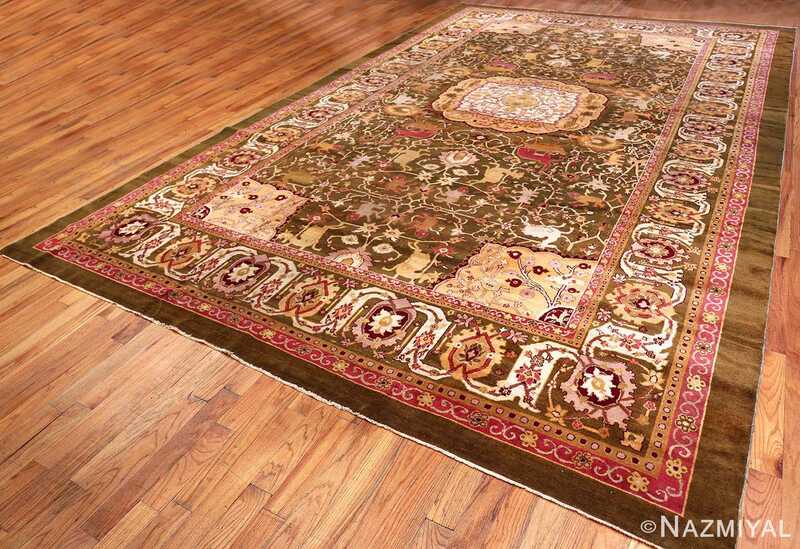 This beautiful antique rug has both horizontal and vertical symmetry, which will bring balance to the room. The scale of the medallion balances with the corners to give it a somewhat formal geometric design impact. 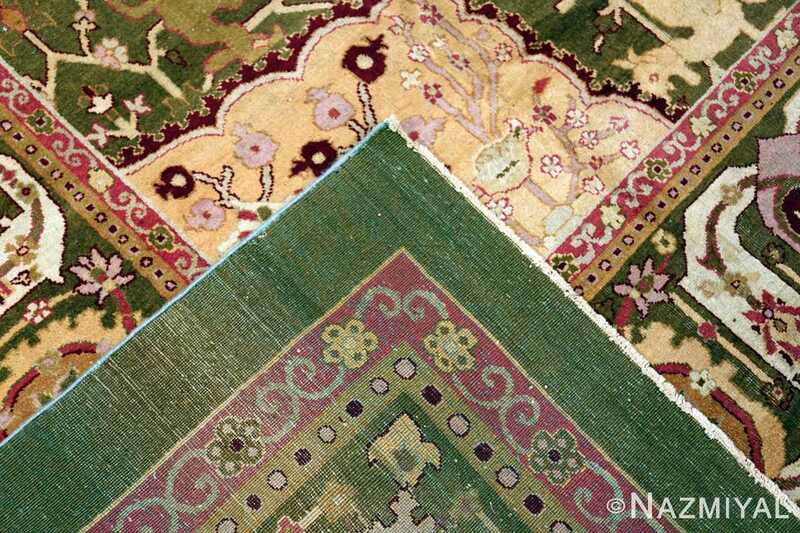 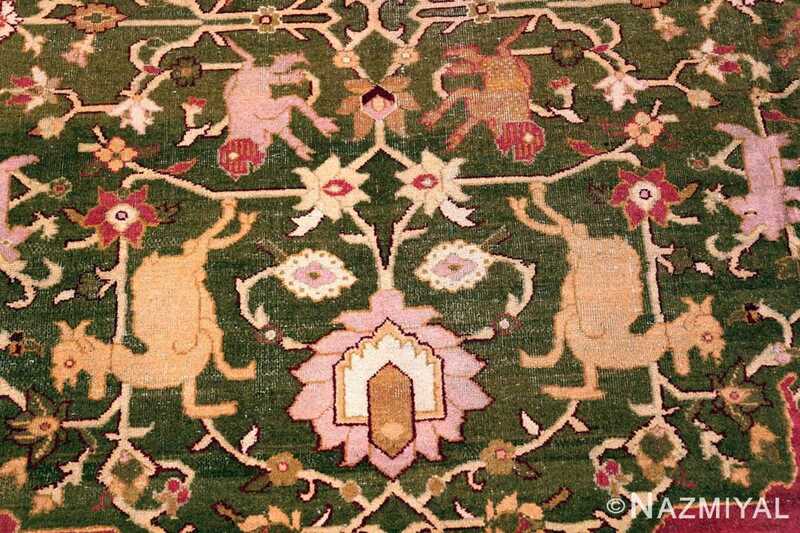 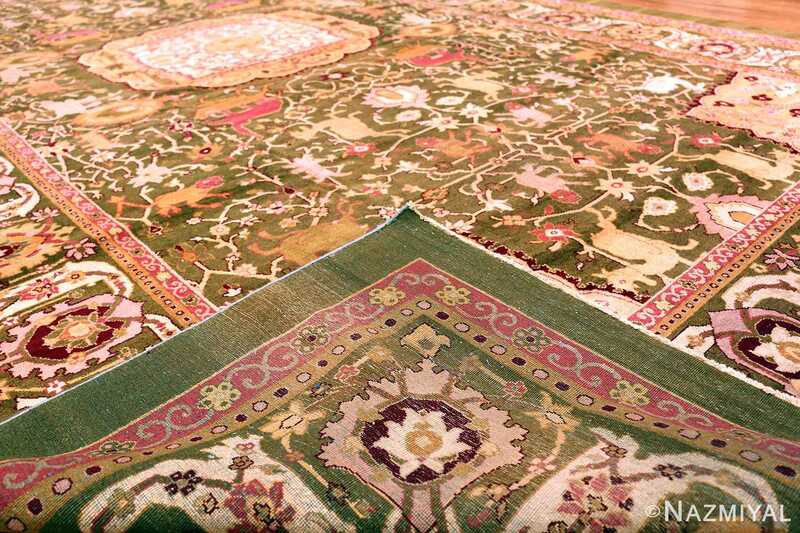 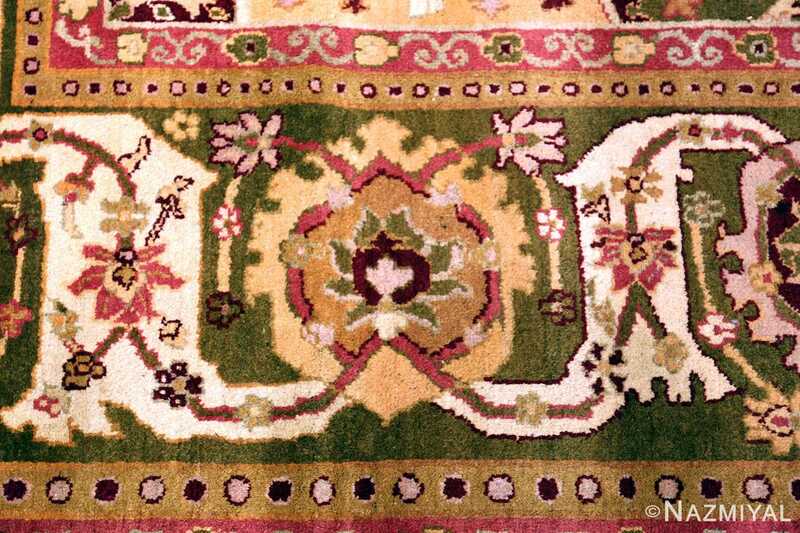 The animals and plants that make up the field of the large size area rug are carried out in much smaller scale than the hunters and their quarry. This makes these animals appear to be in a larger landscape, such as a forest or garden. 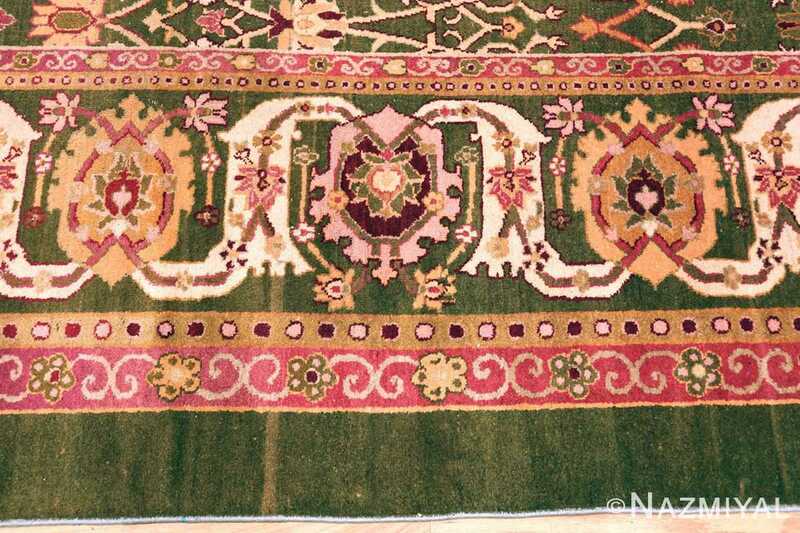 This beautiful green color rug is not a directional and is symmetrical when viewed from any angle. 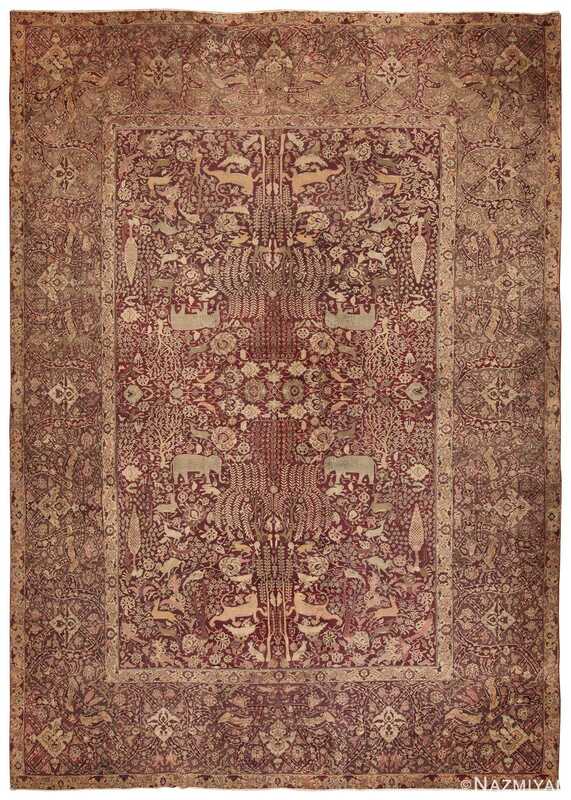 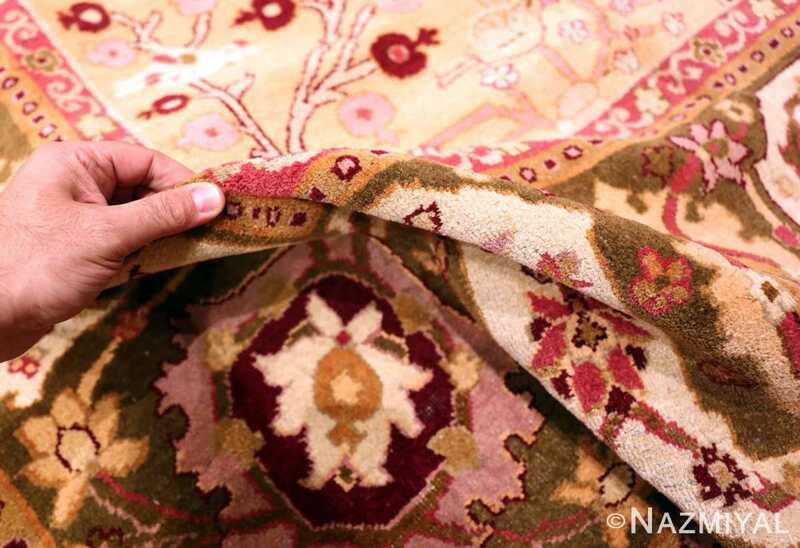 This makes it able to carry the room’s interior decor and draw the eye to the center of the rug from India, where it could be used to highlight an heirloom piece of furniture or other fine piece of artwork. 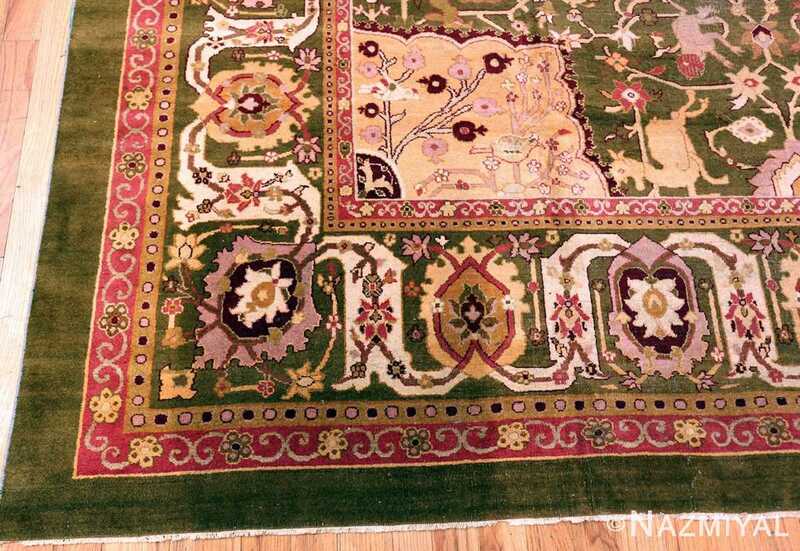 This breathtaking green color background, large size, animal motif design antique Indian Agra rug would make an excellent addition to any collection. 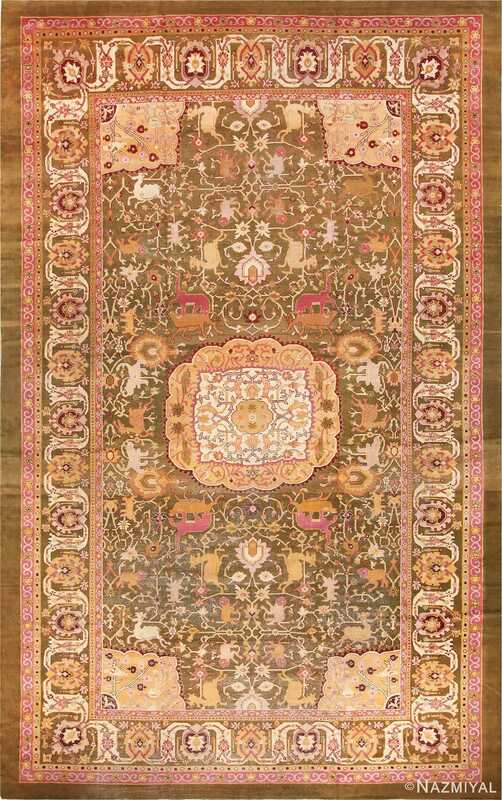 It the kind of artistic rug that combines a masterfully executed traditional design, beautiful colors and fascinating animal motifs. 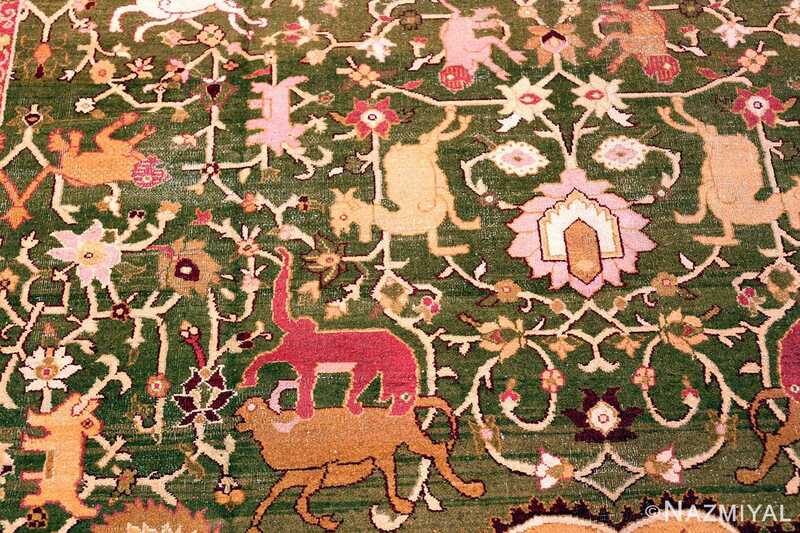 This will surely become an instant family heirloom piece that will be cherished for future generations to come.